New passenger vehicle registrations in Europe were down around 5% in 2010. Germany remains the strongest car market and VW the top manufacturer and brand. New car sales in Europe in 2010 declined by around five percentage points to just less than 14 million cars sold. 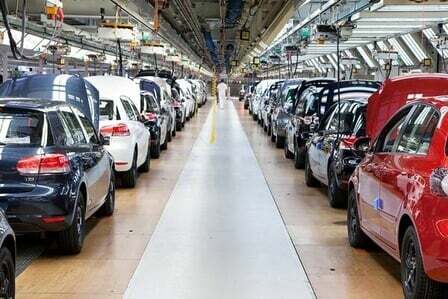 The end of government car-scrapping schemes had a clear impact with the German car market down by almost a quarter and the British car market significantly weaker during the latter part of the year. The larger European markets (Germany, France, Italy, and the UK) were generally weak while some of the smaller and medium car markets showed strong growth in new passenger vehicle registrations in 2010. Car sales statistics for 2010 released by the European Automobile Manufacturer’s Association (ACEA) show car sales in the European Union down by 5.5% to 13,360,599 new cars sold in 2010. Car sales in the European Union (EU) and European Free Trade Agreement (EFTA) countries were down 4.9% to 13,785,698 new passenger vehicle registrations in 2010. ACEA car sales statistics include 25 member countries of the European Union (EU), but exclude the small markets in Malta and Cyprus. EFTA members are Iceland, Norway, and Switzerland. The collapse in the German new car market in 2010 weighed heavily on the car sales figures for the whole of Europe. Car sales in Germany in 2010 were down by 23.4% following a bumper 2009 during which car-scrappage incentives significantly boosted demand. However, the German market looked less weak at year end and may recover during 2011. The car market in Britain in 2010 was relatively flat over the full year. However, demand was artificially boosted at the beginning of 2010 with car sales very weak during the latter half of the year. The large French and Italian car markets were similarly weak during 2010. Some of the smaller and medium sized car markets showed strong growth in car sales in 2010. The small Irish market was up by more than a half while the Portuguese, Swedish, Danish, and Latvian market increased by over 30%. The larger Dutch and Belgian markets also showed solid growth in 2010. The three EFTA countries showed growth of almost 16%. The Swiss car market in 2010 was at its strongest since 2002. The Volkswagen Group remained the strongest car manufacturer in Europe in 2010 with a market share of 21.3%. Volkswagen also remained the strongest car brand in Europe in 2010 with a market share of 11.2%. The Volkswagen Golf was again Europe’s favorite car in 2010.